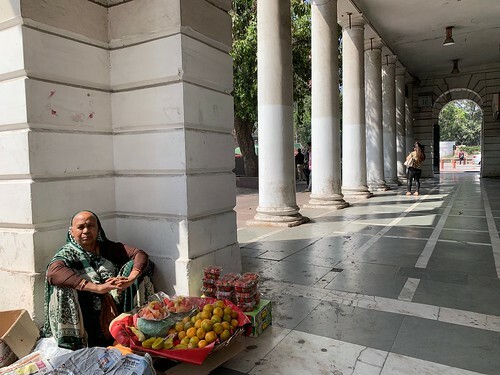 As a living landmark in Connaught Place, she has been selling fresh fruit as long as most patrons can remember. “It’s been about 40 years,” smiles Savitri, who has just turned 60. Nowadays she’s the sole support for her husband, along with their son and family. Diligently plying her trade on a corner of the N-block Outer Circle. 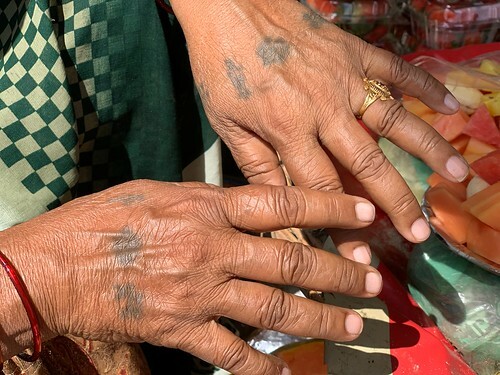 “My husband was a labourer but too old now. Bad health, always coughing,” she says. She worries about her son, as well. 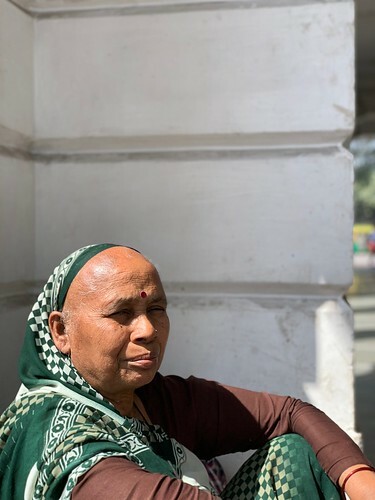 “These days it’s difficult to find work even as a labourer.” Her daughter-in-law does the household chores while looking after her two children at the family home in east Delhi’s Khichripur. The trouble is, Savitri’s business isn’t what it used to be. 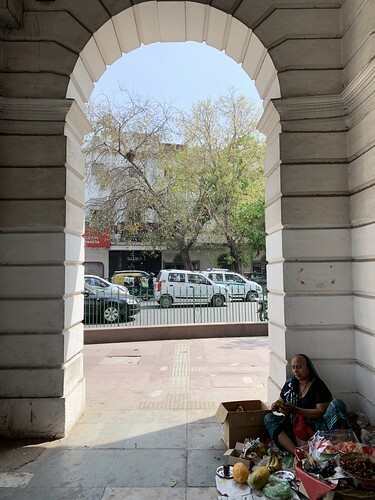 Her earnings have declined, with the blossoming of cafés and restaurants around Connaught Place. “Bank and office employees would regularly buy my fruit, but now the younger people patronize eateries instead,” she says, her voice tinged with just a hint of resentment. Every evening she’ll store her fruit baskets at a travel agent’s office and then walk to Barakhamba to board the bus for home. “That’s been my ritual for four decades and I’ll go on doing it as long as I breathe,” says Savitri, shrugging, as she carefully organises boxes of strawberries. Soon a happy event takes place. 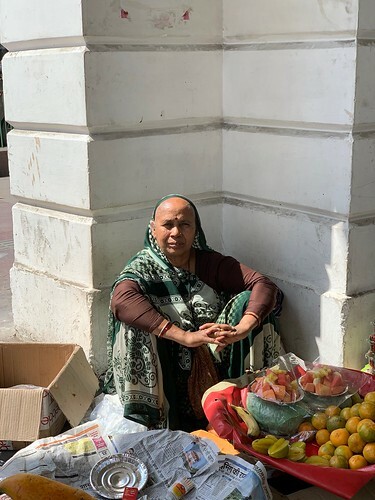 A woman stops by the long-time fruit seller and buys apples.